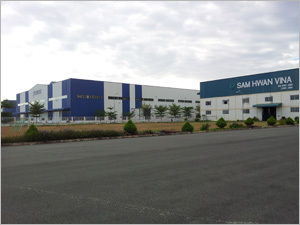 We are located in the largest industrial zone in Hochiminh (Saigon) , Vietnam on 17 acres established 2007. 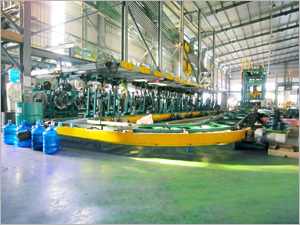 We are very well-equipped modern and efficient production line of Steel Strapping and Plastic Strapping(PET Strapping). Production Capacity ; Steel Strapping - 50,000 tons/annual (300 trucks a month) and Plastic (PET) Strapping - 4,000 tons/ annual ( 20 trucks a month). We are following ASTM D-3953 / EN13246 for properties-Size, Winding and Strength. All products are applied to Fully Automatic Strapping Machines and Pneumatic strapping tools as well. Each customer requires their own type of Coil Dimension and Packing Mode based Quality assured. Example, Australia & New Zealand use widely mini ribbon coil with coil ID 200mm of coil weight 10kgs through 15kgs. North & Latin American use 95 Lbs-100 Lbs coil mostly. Middle East & Africa prefer less coil weight with Oscillated. Ribbon. Ribbon with Coil ID 300mm and OD 560mm is common in Europ. We are delightfully following customized specfications of all aspects. 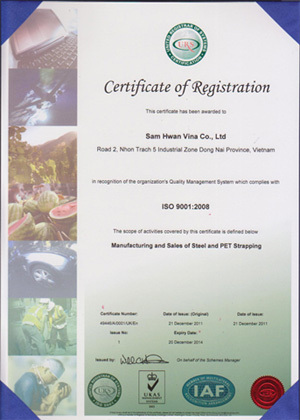 We can say the most important factor to produce Hign Quality Strapping will be Raw Material definitely. 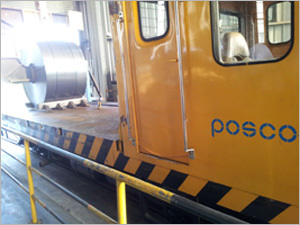 To maintain the constant quality, we insist POSCO's steel imported from Korea ( South ). We are not chasing low quality steel at seductive price. We are young and energitic, 100 Production Crew perform their job impassionedly. 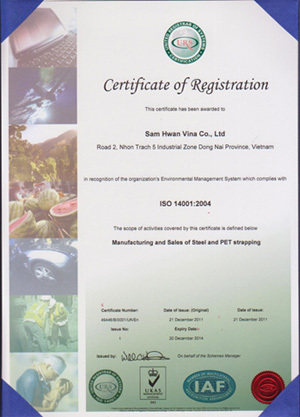 We try to follow customers' standard rather than we ask customers to cooperate our standard.